Plus: Major people moves at Edelman and FTI Consulting. PR and public affairs were a silver lining in WPP’s otherwise disappointing Q2 earnings. Revenue in the business segment, a top performer at WPP in the quarter, was up 6% on a like-for-like basis. WPP’s PR firms include Burson Cohn & Wolfe, Hill+Knowlton Strategies, and Finsbury. Otherwise, it was a downer of an earnings report for the world’s largest marketing services holding company. Shares of WPP were down 8% on Tuesday morning after it reported dismal results in North America, with like-for-like net sales down 3.3% in the quarter (Wall Street Journal). New WPP CEO Mark Read, whose appointment was made official on Monday, has promised a "radical evolution" of the holding company. Edelman has a new general manager in Colombia. The firm has named Carlos Correcha-Price as GM of its operations in the country, alongside his oversight of the firm’s Miami office. He’s a veteran of Edelman’s Washington, DC-based international public affairs team, the firm said in a statement. FTI Consulting global head of financial services Andrew Walton has departed for Lloyds Banking Group, the second-largest bank in the U.K., where he’ll work as corporate affairs director. However, it’s not all bad news for FTI, which was appointed to Lloyds’ agency roster. 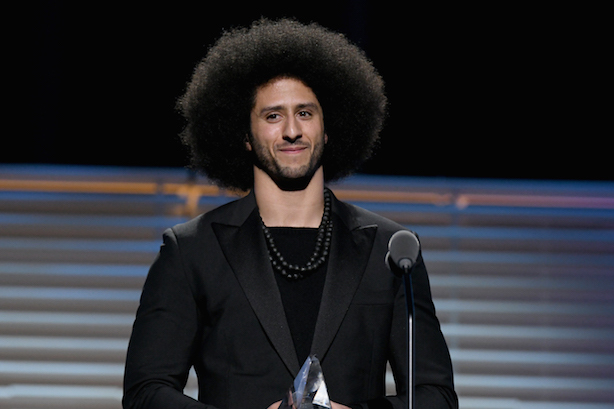 Nike is not shying away from controversy with its campaign celebrating the 30th anniversary of its iconic "just do it" tagline, including polarizing quarterback Colin Kaepernick in the push (CNN Money). Protests, including angry consumers burning their shoes, were immediate (Bloomberg).